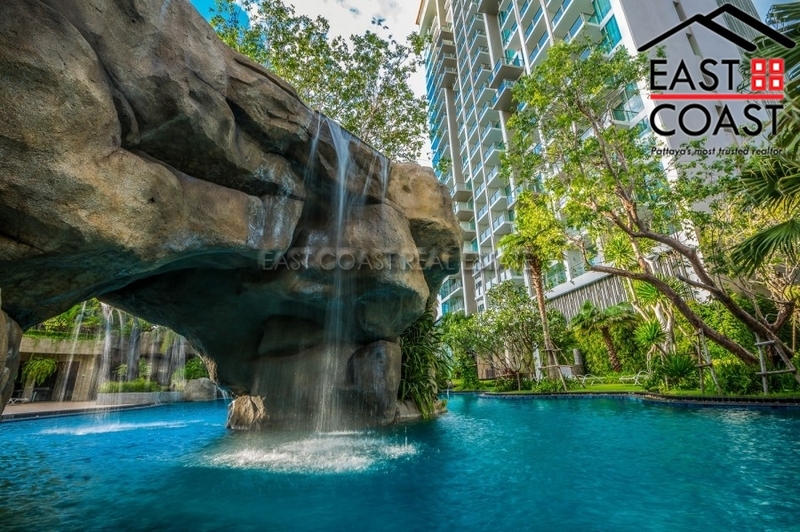 Are you looking to invest in Pattaya’s most luxurious high end development? Look no further than Riviera Wongamat! 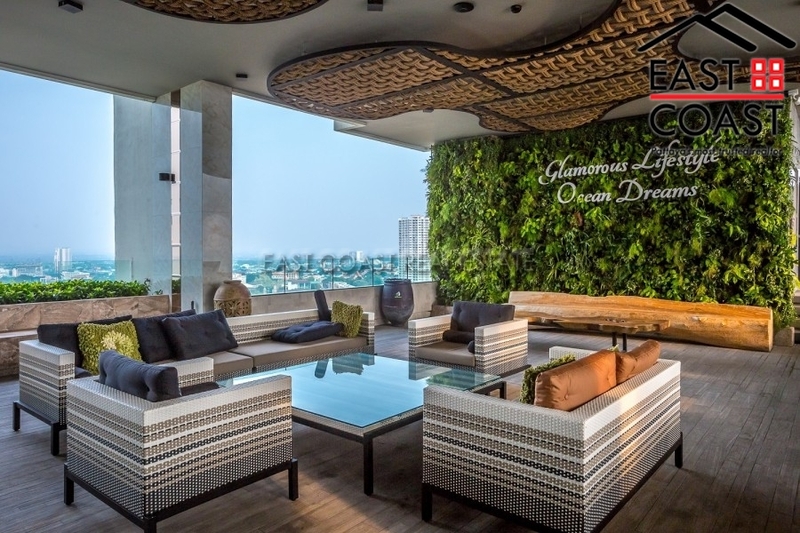 An amazing lifestyle concept brought to life, unparalleled in the local market. 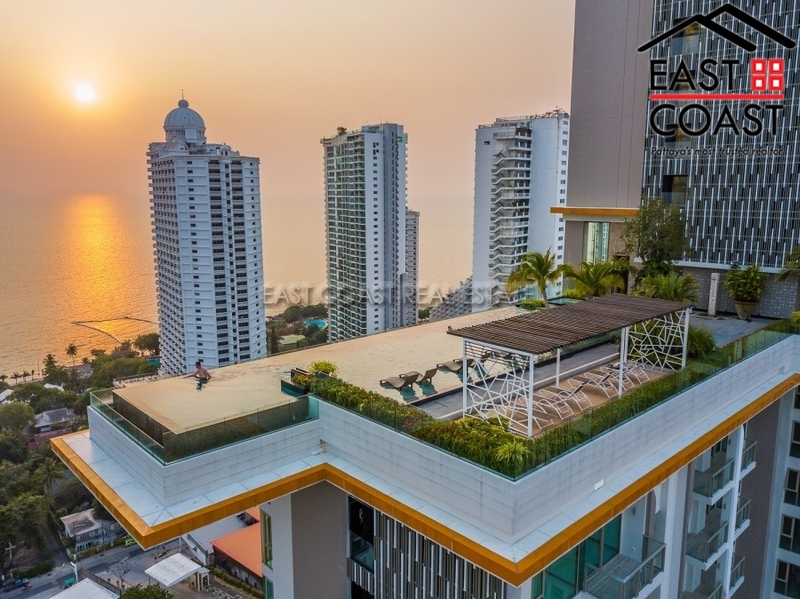 Close by projects have followed the lead of this award winning developer, but, in reality, they simply do not get near the level of quality in the finish, the architectural brilliance and the attention to detail experienced at Riviera Wongamat. 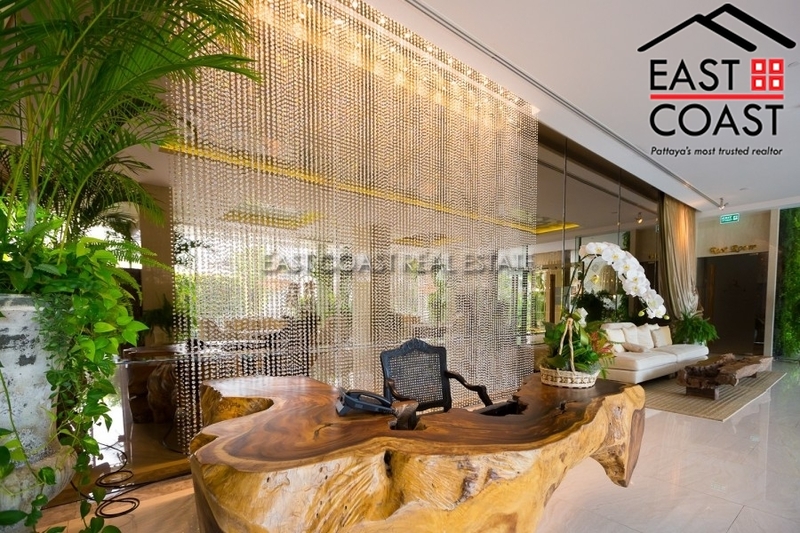 Awards - 6 Times Thailand Property Awards Gold Winner, 20 Times Asia Pacific Award Winner and Top Ten BCI Asia Award. Located minutes from picturesque beach front of Wongamat with a selection of dining options on the beach as well as local amenities including local markets, The Sanctuary of Truth, Naklua and easy access to the new shopping centre at Terminal 21 and further into town via a short baht bus ride. Beach and City life combined perfectly for a varied active lifestyle. Multiple Laguna pools sweep through the ground floor gardens with waterfalls and a variety of stunning water features tucked away in private corners of the sprawling communal usable spaces. 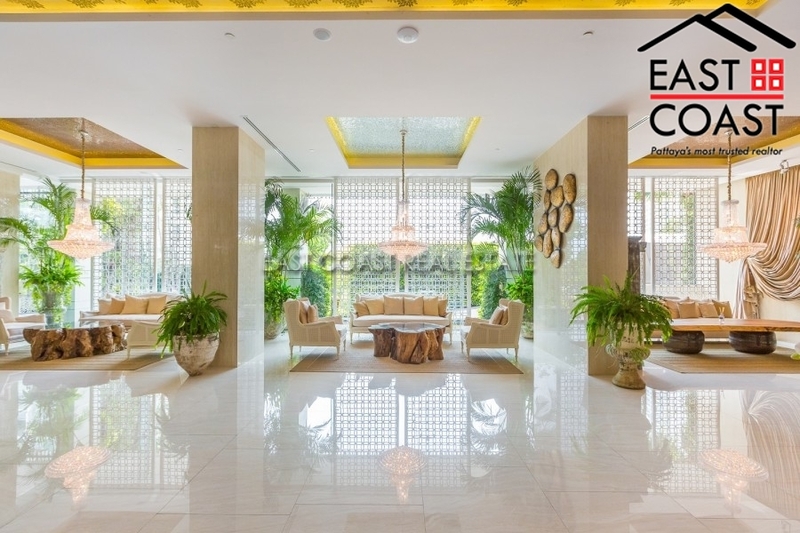 This is repeated in different fashions on various floors throughout the development, most noticeable outside the state of the art gymnasium in the infinity sunset seaview swimming pool with jacuzzi and chill out area. 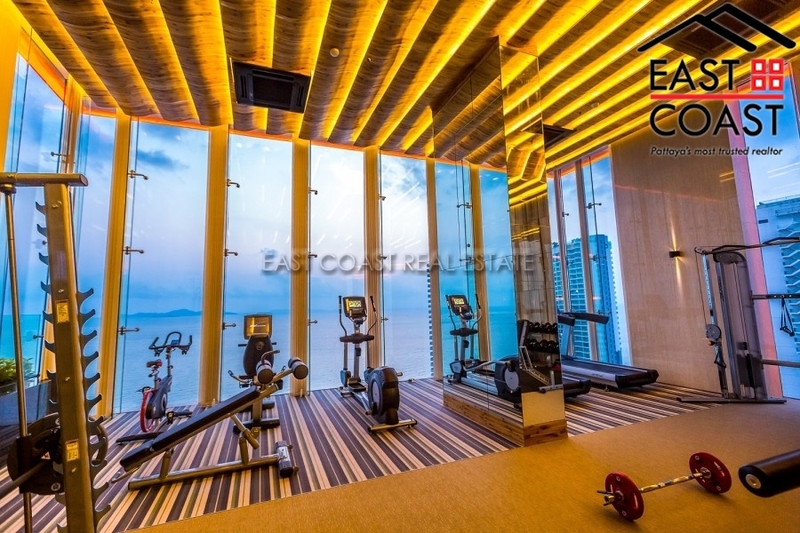 Fitted with the best modern fitness equipment the sunset sea views out to Koh Larn are there to be enjoyed as you tackle that suddenly not so laborious 10km run on the Lifestyle Treadmill after hitting the smith machine. 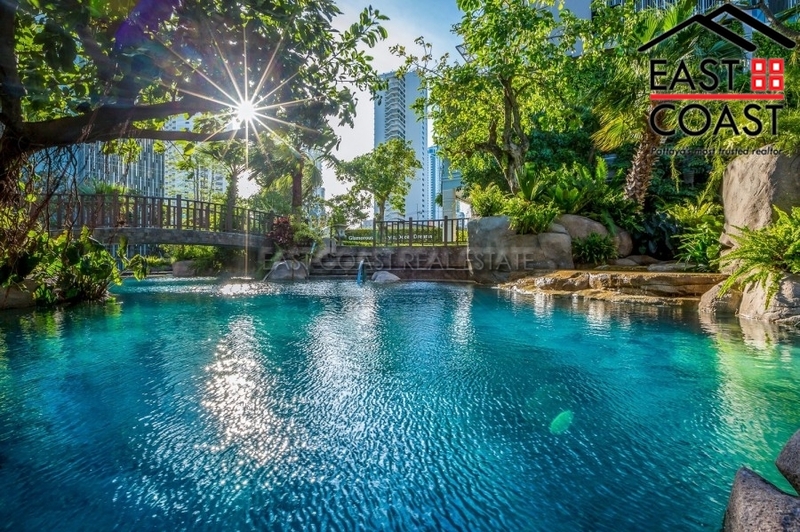 There are children’s play areas, games rooms with pool tables, 24 hour security, CCTV, covered parking and visitor parking on multiple levels, air conditioned wonderful lobbies and multiple relaxing chill out areas and sundecks throughout. Once inside the apartments the clever approach to using and creating space from the architect really does become apparent. 1 bedroom apartments measuring 35 SQM seem generously spacious with good size balconies and accommodate Washing machines in the fitted kitchen with large fridge freezer, TV lounge area with double doors onto the balcony, master bedroom with ample room for a super king size bed and luxury bathroom with dressing area and storage. We will say no more, if you are in the market for this type of investment come and view with East Coast today, there are limited brand new units still available. 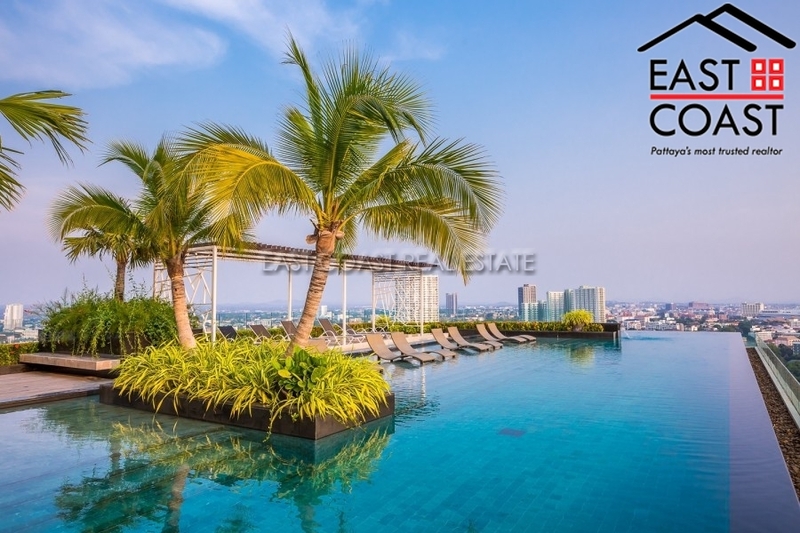 We have already successfully Rented a number of condos in the building which allows us to give an accurate guide to achievable investment value which generally sits in the region of 7%-9% returns. Only Thai Ownership purchases are left available. No transfer fees.